Weight for the post alone is 560 grams. The new Fox Transfer is the follow-up to the Fox DOSS, which was reliable but missed in a few areas, including ergonomics, action, and price. But instead of getting discouraged, Fox used this experience to develop a better product. This Fox Transfer has infinite adjustment and is available in varying lengths up to 150mm. External and internal cable routing versions are also available, and there are 1x and 2x ergonomic lever options. Finally, there is a black-stanchion version and Kashima-coated performance version, which is said to have longer service intervals. Now if only this post performs as promised, we’ll have a winner. We’re pleased to announce that we’ve had months of experience on this post on several different bikes and are ready to anoint it a full-fledged winner. We’ve tried both internal and external cable routed versions and both have performed admirably. Bolts are not angled so you gave to be careful not to scratch the stanchions when tightening. 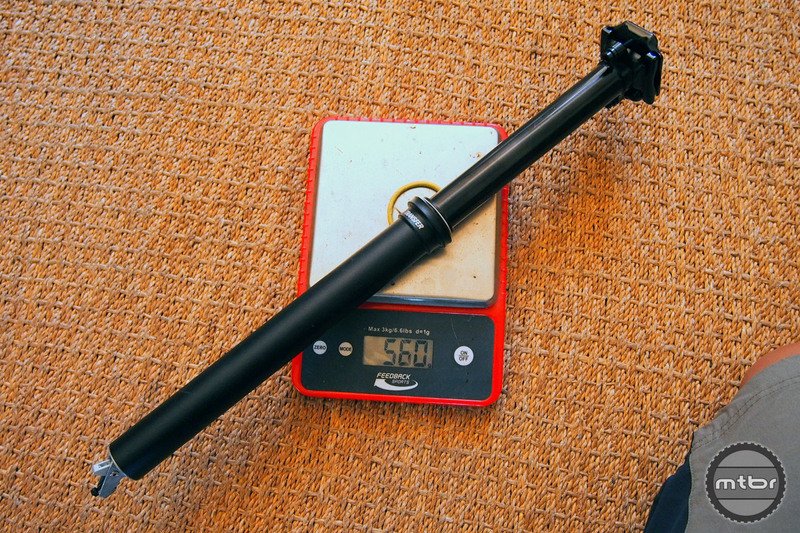 The first and most important attribute is seatpost action and this one performs with the best. 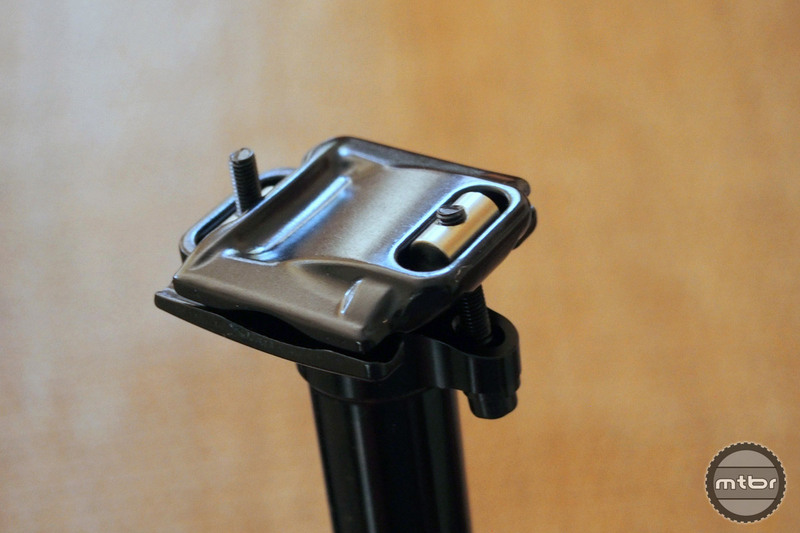 Seatpost action is infinite and damped, with speed controllable with the lever. When it’s up, it stays up with no sag or creep. It’s a solid lock and that cannot be overstated, as this is a key contact point with the bike. Any play, creep or movement will affect one’s riding, so a solid interface is key to controlling the bike. You can’t run a dropper without remote. Please post weight *with* remote & uncut housing. “Post only” weights are meaningless. Does the listed price include the remote? Thought I recall seeing that the post and remote lever kit are sold separately. Factory (kashima) retail $315 and Performance (black ano) retail $264. Droppers do not come with remote. If you need a remote, they retail for $65. Picked up this post a few months ago when it became available. Did a lot of research and waiting and measuring before buying my first dropper post. I am impressed with this dropper. I have the Kashima coated internal routing on my Tallboy. Easy install and not a single issue. I am also 225lbs, which puts added stress but no issues so far. Great product and price! >>Factory (kashima) retail $315 and Performance (black ano) retail $264. Droppers do not come with remote. If you need a remote, they retail for $65. Pricing without the remote is just confusing and makes comparison difficult. And most definitely one needs a remote. There is no non-remote operation possible and this post is not compatible with most other third-party remotes. My fox tranfer 150 is running well. I do wish the insert-able section was just a tad smaller so I could fit an inch further (flush). Its shorter than the reverb, but a longer than the kind lev. If you’re much over 6ft and actually want to be able to have your seat in the lowest position, but still have it in a climbing position that won’t wreck your knees, a 150mm dropper won’t do. You either end up with a high seat on steeps, a seat too low to climb on efficiently, or you manually adjust the seat anyway.